The House on the Borderland is a classic novel that facilitated the bridging of the gap between the British fantastic and supernatural authors of the later 19th century and modern horror fiction. The classic American horror writer H. P. Lovecraft listed this work by Hodgson as amongst his greatest influences. In 1877, two gentlemen head into Ireland to spend a week fishing in the village of Kraighten. 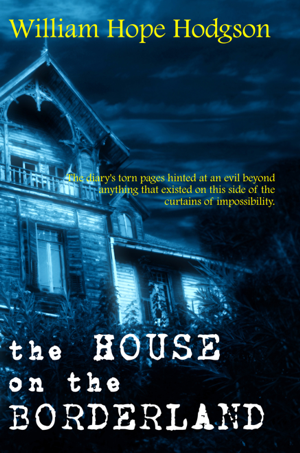 While there, they discover in the ruins of a very curious house a diary of the man who had once owned the house. The diary’s torn pages hinted at an evil beyond anything that existed on this side of the curtains of impossibility.